Since the beginning of the internet era, email has been the key element for trading and identity. There's a reason why almost every other internet entity required you to use your email id to take any action on any of those entities. Be it commenting on a blog post, social media interaction or even surfing the web. It has been taught to us that an email id is our ID card in the internet space. Having said that, I would like to admit that Email Marketing remains one of the best tactics to deliver a message, a business message. Doesn't matter if it's a transactional email or marketing email, every time you hit send you are delivering a piece of your business to a real person. A person who's gonna read that and take actions. Now, whether or not the person will take action, depends on the way you deliver your message. Email Marketing is like the two-sided sharp sword, it can cut your obstacles or tear apart your business into pieces. It is a skill and responsibility that you have to follow as a discipline to see and reap success. Considering the importance of Email Marketing, I determined to share everything I learn in this space with you. So that even you can grow your own audience and market your business with full control. Everything is data & data is everything. 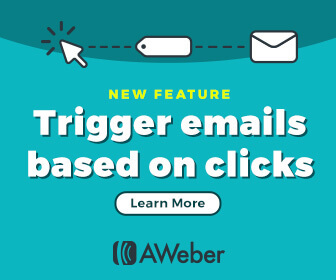 So here are some fun stats (and some awesome information) that will not only convince you but also inspire you to get started with Email Marketing for your business. To keep it light, I have shared a pinch-full of such stats. There are stats that even I found astounding and incredible to inspire. How Is Email Marketing going to help? If you are into blogging space, this number is staggering for good. So this is why you should build an email list & this is how it is going to help your business grow to an extent which you can only imagine. The Internet is indeed a blessing. But, how do I get started with Email Marketing, Shubham? That's all for now. I have some amazing handpicked blog posts for you to begin with. What is Email Marketing? 11 tips + 6 tools, you cannot afford to miss. That's it for now, join my mailing list and get exclusive and highly personalized updates on email marketing and other useful digital marketing information right in your inbox.